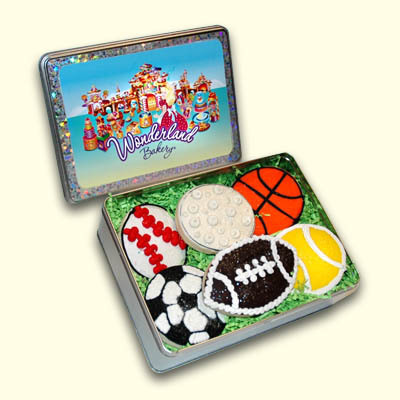 You will definitely score a goal with our Wonderland Soccer cupcake collection. 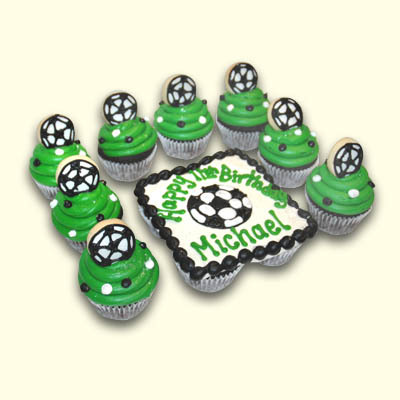 We have paired our 4 Cupcake cake with 8 Soccer Cookie Tiered Cupcakes to help you enjoy anytime. 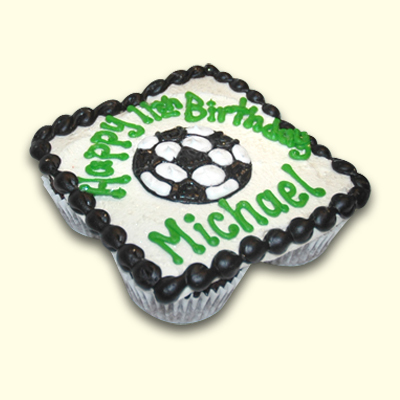 Select the flavor, icing color and custom message to celebrate deliciously. Other sports themes are available too. Store pick up only.